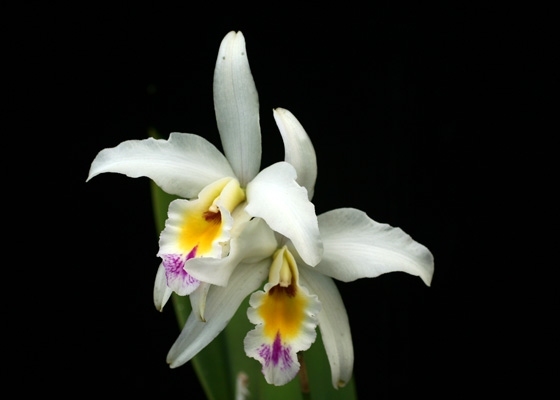 Long, star-shaped creamy white flowers blooms atop a tall stalk, and each lightly ruffled lip is marked with purple and golden yellow. 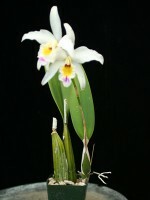 Vibrant flowers and temperature tolerance is just what you would expect from this primary cross between the white forms of Cattleya mossiae and Laelia anceps. .Temperature Tolerant. March - April blooming.